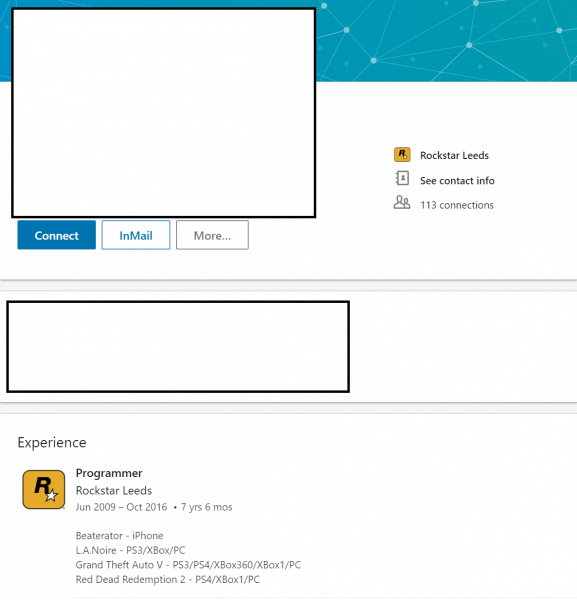 TGFG, a Rockstar community group who hunt Easter Eggs in GTA V, and VG247's Kirk McKeand spotted the reveal on the LinkedIn profile of an unnamed Rockstar dev, who previously worked on GTA V and L.A. Noire. 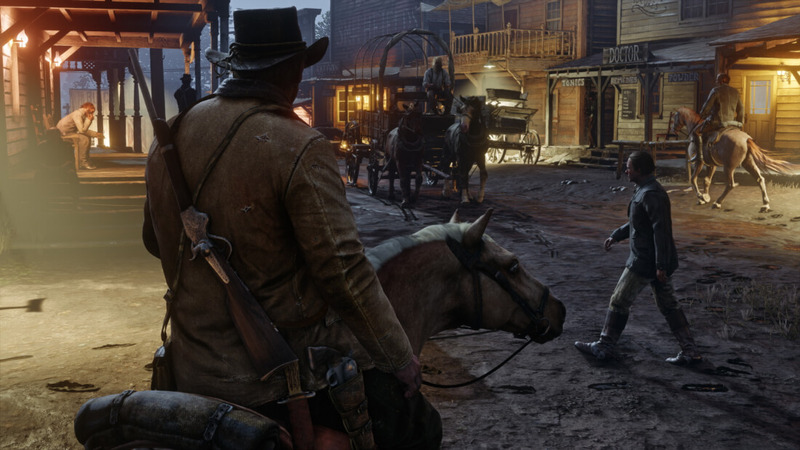 Under the ‘Experience’ section, Red Dead Redemption 2 is named as one of their games. The person also stated which platforms it will arrive on: PS4, Xbox One, and PC. Hopefully, this won’t be a case of the developer having made a mistake by accidentally adding “PC” to the Red Dead Redemption 2 entry. But it was always a surprise that Rockstar seemingly wasn’t bringing the game to PC, given the incredible success of its other titles, especially GTA V. There’s even a Change.org petition calling for a PC version, which is now 66,548 signatures toward the 75,000 target. If the LinkedIn source is accurate, it will be interesting to see how Rockstar goes about bringing Red Dead Redemption 2 to the platform. It may launch alongside the console editions this October 26, but a more likely scenario is that an upgraded, definitive version will arrive on PCs at a later date. If that is the case, let’s hope it doesn’t take as long as GTA V to move from the Xbox and PlayStation to the PC. You can find out more about Red Dead Redemption 2 here. If the release gap between consoles and pc are like 2-3 years, I can wait. I just hope it won't have the same issue like installing and launching problem like gta v when it came out for pc. I'll wait as well. I've been kicking around the idea of getting a console solely for this game so a 2-3 year wait for the PC release would be fine for me. This may be the perfect time to release RDR2 if you remember how GTA V was released. Microsoft has hinted new hardware for 2020 so there's a good chance Rockstar and others have dev kits in hand. Releasing this generation now then a new version for upcoming hardware in 2021 along with a PC release shortly after fits right into the GTA V release schedule. I guess all we can do is hope. I was quite happy GTA 5 came to PC even with the delayed release. I felt it was a solid port and never really had any problems with the game. I didn't realize there were issues at launch as I never buy games at launch, I always wait several months until they go on some sort of sale so by the time I got to it everything worked perfectly. If RDR2 comes to PC I only hope it is the same level of quality or better. Now if we could only get VR support, then I would probably throw my money at them. Man I would love for the first one to be released on PC. When GTA V came on PC I had zero issues, finished the campaign in a couple days. Well that ruins the gameplay experience. If you want to enjoy the game with maximum graphics (realistic frame rates adding a high level of realism, enhanced lighting, etc) you won't be able to on launch date. You will play a substandard version of the game and then "buy" the full proper version for pc much later and have to play through it again. Or you can skip the ps4/xbone version and wait for the real game to be released, but who's gonna do that with all the hype? And you have to pay double. OH I KNOW, buy the ps4/xbone version when it goes on sale through websites like allkeyshop (who pays $80 CAD + tax = $93 per game anyway) and when the pc version comes out, instead of paying another $93, just get the liberated version.